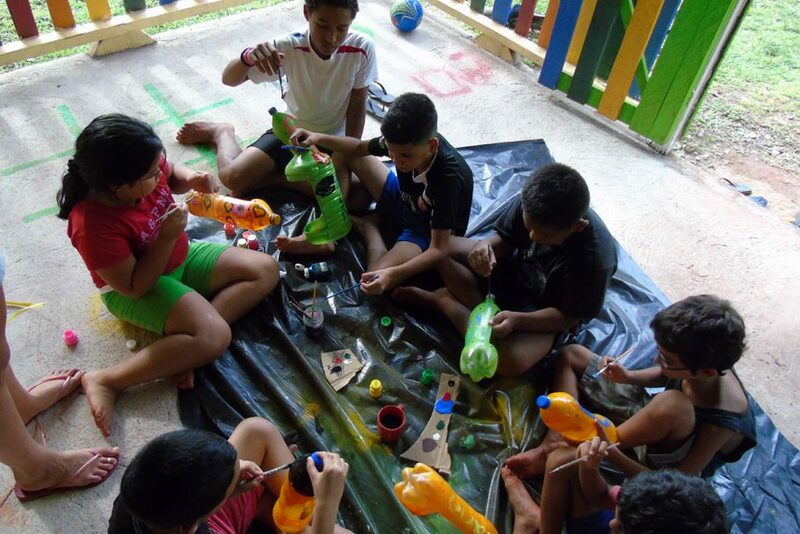 Planet Conservation’s Center for Environmental Education specializes in artistic activities such as music and painting to motivate children in the south Caribbean of Costa Rica. The work is done through permanent workshops in which international volunteers help children with the learning processes involved. These way children can better use their free time while learning skills other than those being taught to them in the regular schools. Climate change, waste management, food security, and reforestation are some of the main themes developed. The activities are very dynamic: craft workshops including paper recycling, reuse of materials, and construction of musical instruments are offered to the children. The center’s coordinator Mayra Mejia is a renowned local artist who through her paintings managed to create a representative work by painting murals in schools, high schools and public areas in the community. These works are a reference to the value of art in teaching and environmental education. A brief resume of the activities of the Environmental Education Club in Puerto Viejo, Limon, Costa Rica. A working day for the reactivation, cleaning and improvement of a turtle nursery for the conservation of Marine turtle species in Carate beach, the buffer area of Corcovado National Park on the Osa Peninsula, was performed on August 20th. 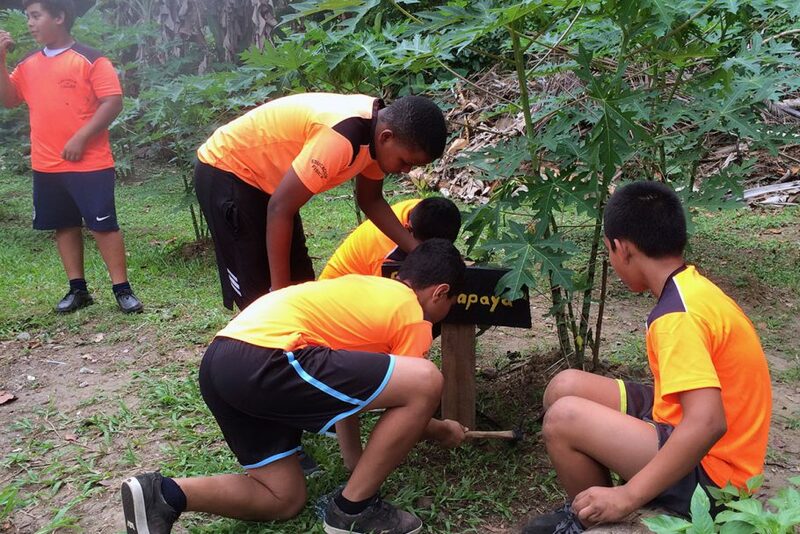 This activity, organized by the Integral Development Association of Corcovado, had the participation of all volunteer organizations in the area. Each of the institutions involved helps protect a part of the beach that goes from the area known as the Leona river to Rio Oro Beach. Working together was a success! 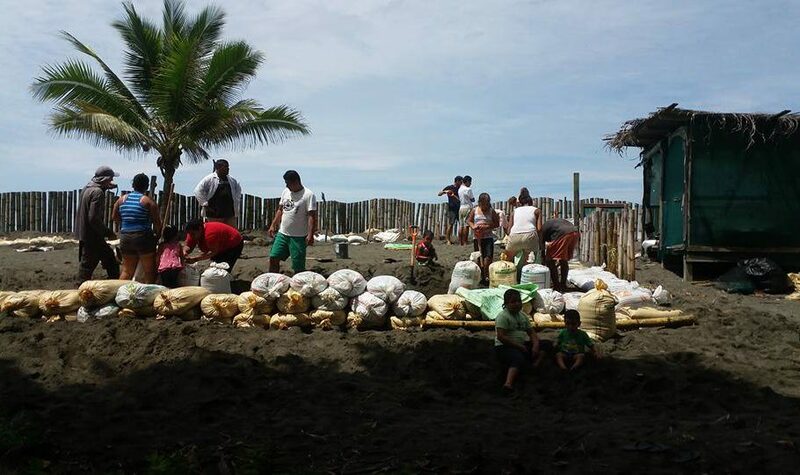 We achieved the participation of more than 50 people, including families and children of the community who feel this project as their own since they have collaborated in protecting turtles for several years on their own initiative. The nursery hopes to be ready by September 10, it will be used exclusively to relocate the nests that are at risk. All the paperwork to have all the necessary permits is already underway, and in thus we aim to start the season turtle conservation very soon. The staff of Planet Conservation which includes a principal investigator, local workers, and international volunteers, already have been patrolling the beach for three weeks, which seeks to make an institutional presence to prevent human predators and other animals such as domestic dogs, from causing damage to eggs or turtles. If you want to collaborate with this project and help in the conservation of turtles Corcovado please visit the website and make your voluntary donation. Economic resources will be used for hiring local assistants to help monitor turtle nursery, tools, and materials for research and environmental education program.